I received the text message when I turned my phone on at 7am on a Saturday morning, I thought it was a joke. Not a funny joke. I didn't understand why my friend would have sent it. Then I realised it was true. I felt sick and started shaking. I called her and she confirmed that she'd had her baby girl and that we all needed to pray that she would survive. Less than two weeks before, she'd had her 20 week scan, a little bit late. Everything was fine and she had called me, all excited. She was exactly 23 weeks pregnant on the day her daughter was born, 22 weeks and 6 days on the day she went into labour. On that day, she was in pain. Her back hurt and she was having very painful stomach cramps. She went to the doctor and he sent her away telling her to take a few paracetamol. There was no suggestion that she might be in labour. Later that evening though, when it was too late to halt it, she had her baby. She was told her baby would not survive. That because of the gestation they wouldn't resuscitate or help the baby. I cannot begin to comprehend how awful that must be. But when her baby was born she fought. She showed signs of life. The doctors, for whatever reason, decided she deserved a chance. This tiny dot of a baby. Fighting. That was all she could do. 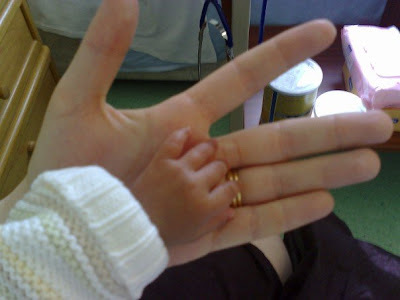 She weighed 1lb 6oz, luckily above average for 23 weeks. I promised my friend I would drive down the next day. Then I baked. Cakes, bread, anything I could which I knew would provide sustenance. I called work and told them I wouldn't be in for a while. The next morning I drove straight from Yorkshire to Croydon, praying all the way. When I got there I walked into a different world. Full of machines, monitors, wires. All surrounding tiny little babies. I knew there was nothing I could do other than support my friend. Her boyfriend, his mum and her parents were all there, along with another close friend. We all supported each other. Crying when we needed to, being strong when it was required. There were brain scans which showed no brain matter, doctors who said she wouldn't ever breathe on her own. She defied all odds. She came off a ventilator and moved to CPAP, from that she moved to oxygen. Eventually she was free of everything. She responded in ways they said she never would. The outlook, however, was always bleak. The doctors never daring to believe she might be able to do anything. Babies born later than her came in and unfortunately didn't make it. We were surrounded by a dizzying mixture of hope and sorrow. There was one baby in particular. He was born the same week but at 25 weeks. He fought long and hard but devastatingly he lost his fight when he was two months old. I visited whenever I could. Getting trains down at weekends. Staying on floors or with family. I just wanted to help in the only way I could. Even if that meant just baking, I knew it was appreciated. I learned you could buy teeny, tiny baby clothes with special openings for wires. I bought them. Tiny little dresses which still swamped her. Throughout all these events, one thing remained constant. She fought. Incredibly, the only surgery she ever needed was laser surgery on her eyes when she was about two months old. She got to a point where she was drinking well and stable on oxygen. We became more hopeful. 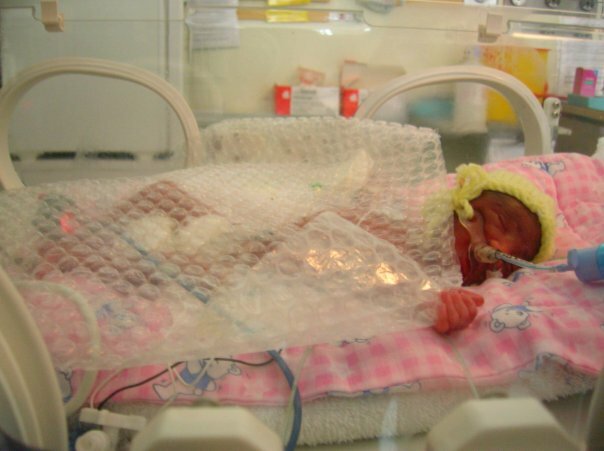 On her due date, four months after she was born, she was discharged from hospital. A miracle. I have to admit that I always thought she would survive. Maybe purely because I couldn't imagine what would happen if she wasn't there. She became the focus for so many people for such a long time. 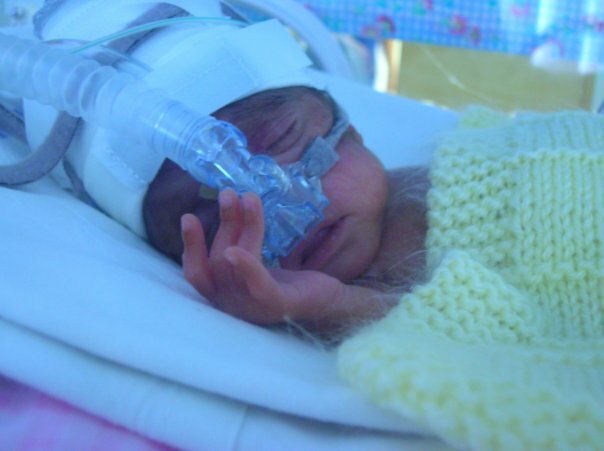 She continued on oxygen until just after her first birthday when it was removed and she could continue with a normal life. She was a bit behind other children, but she learnt to talk, to walk, to run, to ride a bike, to draw, to write, to read. To amaze. In March she will be six. My beautiful, intelligent Goddaughter. Life will never be as easy for her as it is for others. She will always find everything that bit harder than others, and always have to work that bit harder. 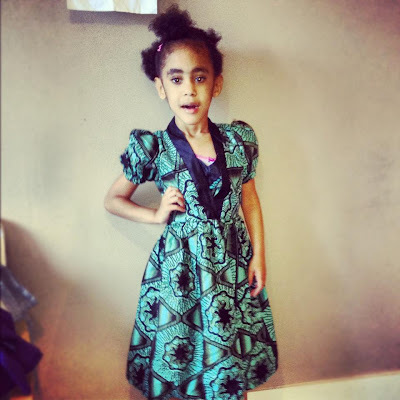 She is in mainstream school though and is thriving. She is determined. A feisty fighter. A beautiful little girl who continues to defy doctors. She is astounding. Such a credit to her mum. She is loved and spoilt, because she nearly wasn't here. She arrived too soon but she is educating the world through her actions and will continue to do so. She is amazing.